Welcome to the Freeola Support pages. 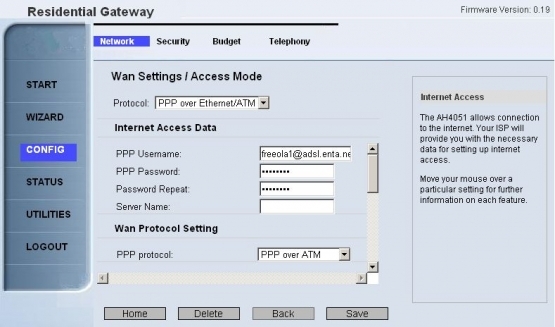 This guide is designed to take you though the basic steps for changing your DNS server settings within the Hitachi A261-431245R router. For more internet help topics please visit our main Support Page. These instructions apply to the Hitachi A261-431245R ADSL Modem Router. The settings may also apply to other Hitachi routers. 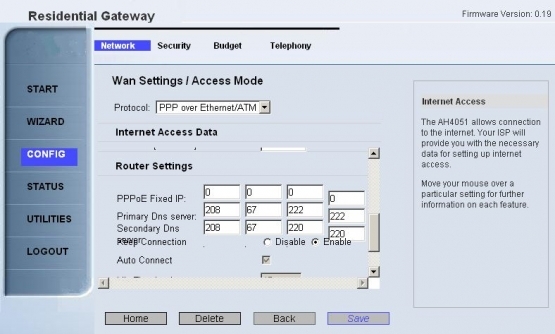 The default address for a Hitachi router is 192.168.2.1 however this may differ if it has been changed manually by yourself or your network administrator. 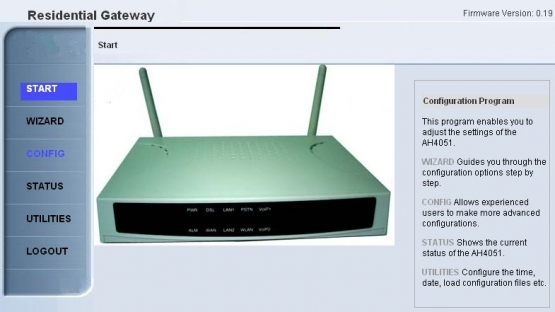 You should now be shown a splash screen for the router giving some information detailing its requirements. To continue you should select OK.
You should now be given a log-in prompt. 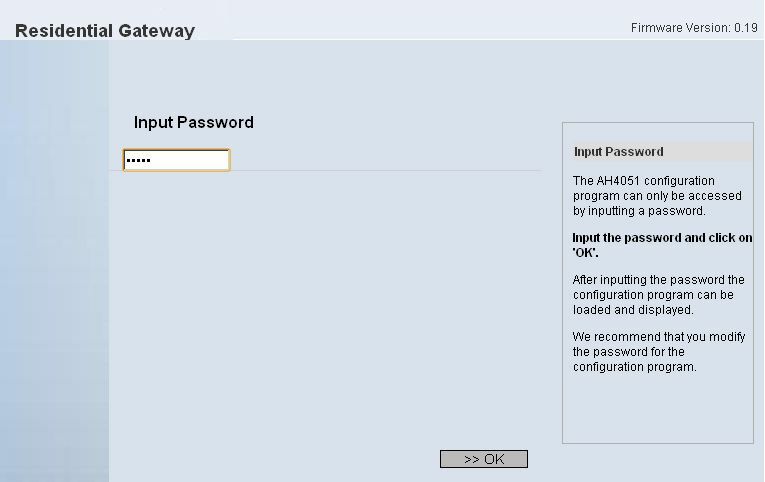 Enter your log-in password into the box provided and select OK. 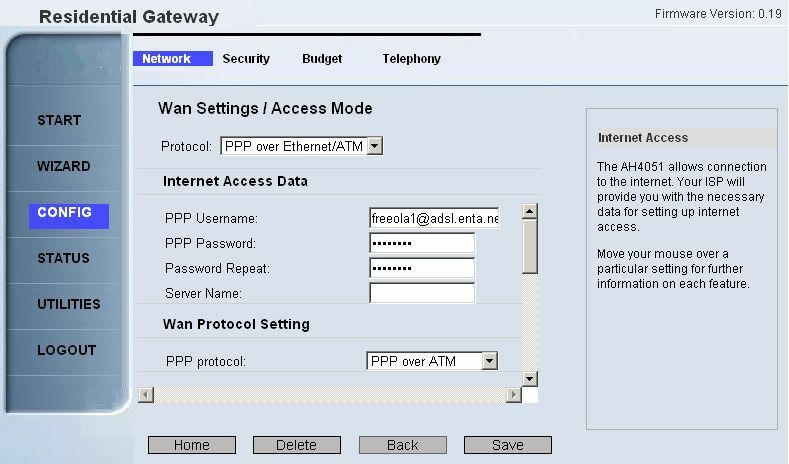 If your router was configured by Freeola or the router has recently been factory reset, the password would have been set to 'admin'. Alternatively, if you, or your network administrator originally configured the router, you may have set your own log-in password. 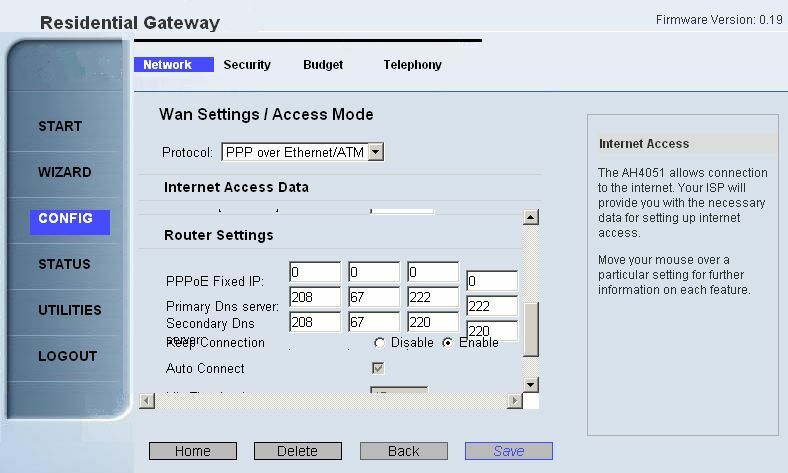 From the Network Settings page you will need to select Wan Settings to continue. 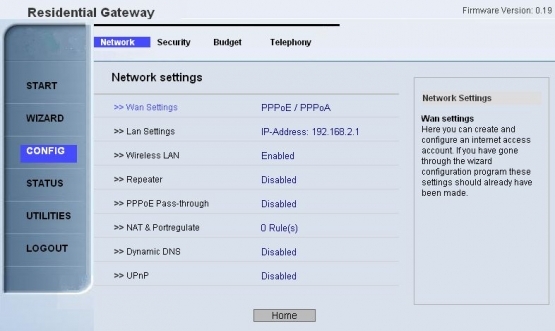 You should now scroll down the page until you reach the Router Settings heading. 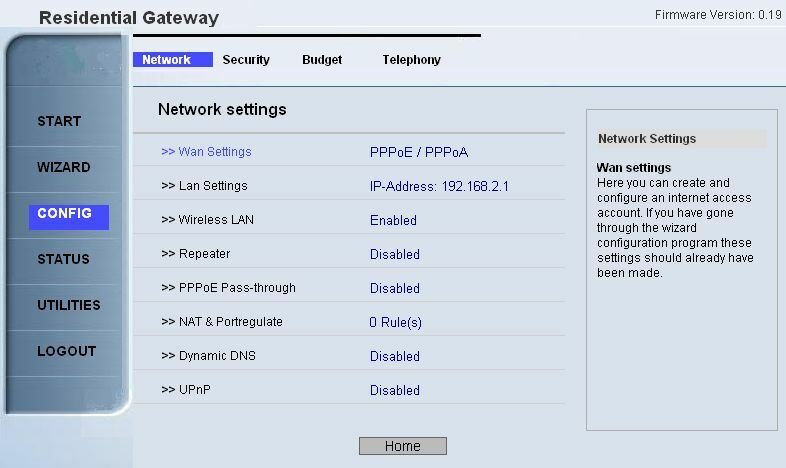 Under the Router Settings heading you will need to enter the required DNS Servers into the boxes provided. For OpenDNS these are 208.67.222.222 and 208.67.220.220. Alternatively if you are not using OpenDNS, Freeola's DNS servers are 195.74.113.58 and 195.74.113.62. Select Save to save the settings so that they are stored. 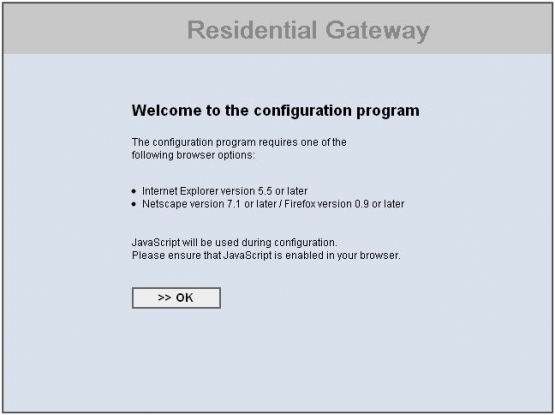 You may need to reboot the router for the changes to take effect.